Barbie, what's wrong with you? Why are you so nervous! 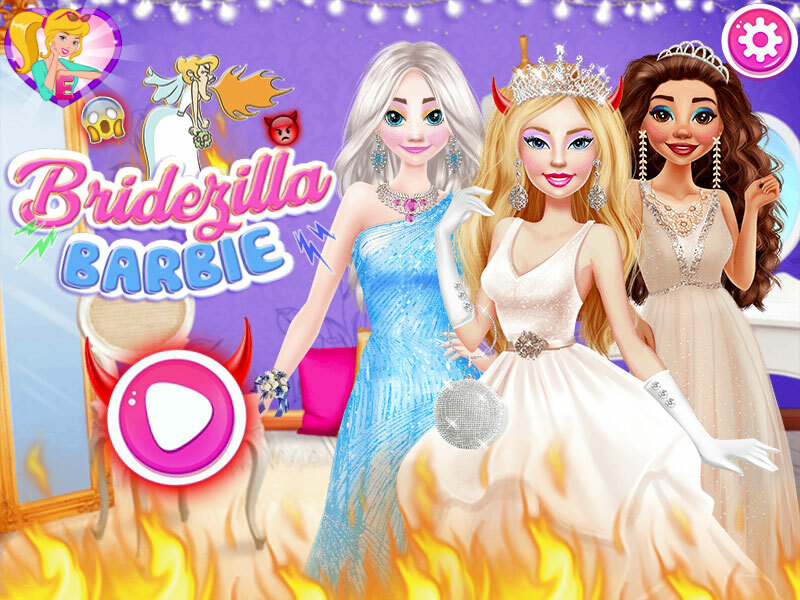 In the game Barbie Crazy Bride, you will meet our beloved blonde with an incredibly nervous mood. She so responsibly approached the organization of her wedding, which turned into a very capricious bride. And how her girlfriends now please her? I hope that everything will end well and her friends Princess Disney will not stop loving her. 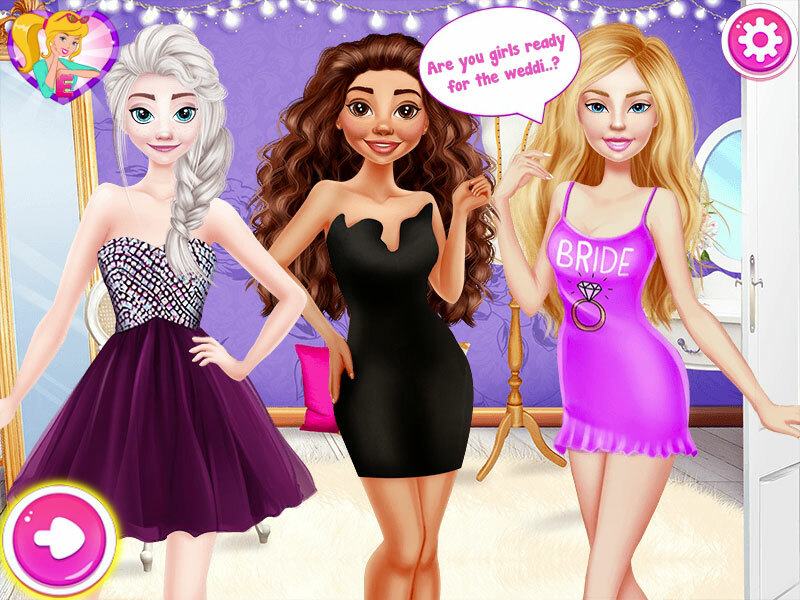 As the game begins, you will meet Barbie and her two best friends, who will be friends at her wedding. Help them choose the perfect makeup, hairstyle and dresses so that the bride will be calm about how they will look. At the end of the game you can see and compare how all three girls fade out. Played: 3519. Added: 7-12-2018, 09:43. Bridezilla Barbie dress up game.